Some large companies in the UAE have committed to employing hundreds of Indian amnesty-seekers as part of an initiative taken by the country’s embassy in Abu Dhabi, a top diplomat said. 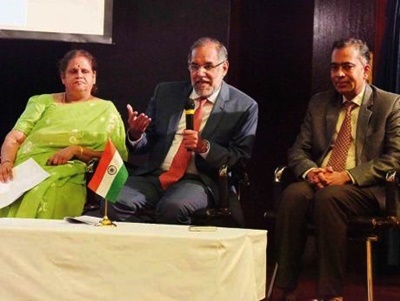 “We noticed that some of the Indian nationals [amnesty-seekers] do not want to go back home and want to look for jobs," said Navdeep Singh Suri, Indian Ambassador to the UAE. "We have spoken to large UAE-based Indian companies and they have come forward very generously to offer employment if skill sets [of amnesty-seekers] match [for the available vacancies],” added Suri. He said some employers are even ready to offer hundreds of jobs if there are suitable candidates. “They are ready to conduct on-the-spot interviews. If we get more data about the Indians who are looking for alternative jobs, we will connect them with these companies,” Suri said. The prospective jobseekers among amnesty-seekers can contact the hotline numbers and [via] email [address] of the embassy arranged for the amnesty-related matters, he said. Sources in the recruitment industry told Gulf News that this will be a win-win situation as amnesty-seekers can easily get a job and companies get workers with solid local experience while saving recruitment costs and efforts [compared to hiring from abroad]. The ambassador said the number of Indian amnesty-seekers in Abu Dhabi, Dubai and the other Northern Emirates during the first week was very low, compared to other Asian nationals. Although it is too early to draw conclusions, the number of Indians is expected to remain low, he said. He attributed this to the effective mechanism employed by the embassy and the consulate, using Indian Community Welfare Fund [ICWF], to regularly repatriate Indians who have violated the UAE residency laws. The officials visit jails across the UAE every week and issue emergency certificates [ECs] to those who do not have travel documents. “Most of those people have been residency law violators [overstayers, absconders and infiltrators],” Suri said. The Indian government set up the ICWF at the embassy and the consulate in 2009 to assist overseas Indians in times of distress and emergency in the most deserving cases on a “means-tested basis”. The widened ambit of the fund since September 2017 enables the missions to provide all legal assistance to Indians in distress. During the last amnesty, around 8,000 Indians left the country. After the amnesty, a total of 4,973 Indians, who had no valid passports and visas, had left the UAE, a senior official said. M. Rajmurugan, Counsellor — Consular Affairs at the embassy, told a press conference that after the 2013 amnesty, the embassy issued 4,407 emergency certificates until December 31, 2017. This year, the embassy issued 566 emergency certificates from January 1 to July 31. The embassy spent around Dh1 million during the first seven months of this year to help Indians in distress.